Learning the ins and outs of optimization takes a long time, and there’s a healthy learning curve. In fact, SEO can be quite difficult. Why? Well, for one, because optimization walks the cutting edge of IoT (the Internet of Things). Search engines continually update to keep up with constantly changing technology; optimization changes to keep up with the constantly updating search engines. This includes organic SEO content, which is what this post is about. First, we’ll be using terms in this article that you may or may not know. Let’s clarify what these terms mean. If you’re old hat to SEO, just skip to the next part. SERPs – (S)earch (E)ngine (R)esult (P)age(s): the list of sites you get on the search engine after placing a search query. Key Word/Phrase – Your key word or phrase (combination of words), should be an accurate description of your page topic. This is also one factor search engines use to determine relevance to a search query. Primary Keyword /Phrase – Your primary keyword/phrase is the word/phrase that accurately describes your entire site or section of site. For example, if your entire site is about home repair, this would probably be your primary phrase. As well, if you have subsections, such as information on tools, your primary phrase for that subjection might be “home repair tools”. Keyword Research – Finding viable (high search/ medium-low competition, medium search / low competition) keywords. These should be relevant to your site. 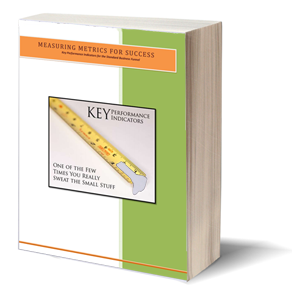 Setting a minimum level of search volume should help you greatly narrow down your prospects. Keyword Stuffing – the excessive use of keywords in titles, descriptions and/or content. Click–through – When visitors click on a search result and land on a site page, article, blog, etc. An organically optimized page has three main parts: the search snippet (consisting of title and description), body and link structure. The main purpose of any title is to create a large rate of click through from the SERPs. The secondary purpose is to rank high in the SERPs for the page. Learn more about meta titles, descriptions and the importance of both with Three Rules of Engagement – Your Content and Your Audience. To meet the constraints of all search engines (the rules differ per engine), keep the length shorter than 72 characters. This includes spaces. Have at least four words per title. “Home”, for example, is a losing title, while “Learn SEO Content Writing Basics” may have more of a winning chance. Your primary keyword should show up at the beginning of the title, or as close as possible. Your key phrase should also show up in the title. A targeted key phrase will increase the relevancy of the page itself when searchers use the phrase. This will also increase the chance of a click-through. The main purpose of a description is to inform the potential visitor of what to expect when they visit a page and increase the click-through rate. Your primary keyword should show up at the beginning of the description or as close as possible. Your key phrase should also be in the description. This gives more relevance to search engines for the key phrase, and shows visitors how relevant the page is to their search query. The main purposes of the actual content (or body) of a page are to increase visitor loyalty, engage them and develop trust (read about The Psychology of Content). The secondary purpose is based on what you want to achieve with a page (sell a product, deliver information, get email addresses, etc.) The third purpose is to make the page and your site rank for the primary keyword, as well supporting key phrases. Choose three key phrases or less to target, per page. 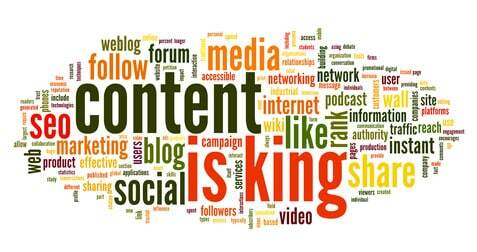 Content length should be no less than 300 words for web pages, 400 for blog posts and 500 for articles. Keyword density should be somewhere between 3% and 5%. If you find yourself having to force the keyword or phrase, consider the possibility that a) either you’re off topic or b) you’re trying to use the wrong word/phrase for the page. Where possible, bullet the important information. With online content, bullets show better performance than several paragraphs. When linking to other pages on your site within the content, spread the links out and make sure the links don’t all go to the same page. If you link to another website, don’t link to the home page. Always link to the most relevant page, which is generally an interior one. Never link using words like “click here” or “here”. We call the points we covered above “rules”, as in the “rule of thumb”. These are tried, tested methods for better click-through rates and stronger content. Now, they’re just the basics for organic SEO content. If you’d like to really dig into the subject of writing optimized, readable content, we recommend Copywriting, Content Development & Strategies. Now, there’s a lot information about creating a SEO strategy, and much of it includes written content. However, it’s easy to forget that the SEO is for the search engines, while content is for the visitors. There’s no magic pill. No Holy Grail. You can read, view, subscribe, buy into, etc., but one thing is always clear; before you can do any good with optimization, you you have to learn how to write quality content that will provide your readers with value. Let’s consider that sentence for a minute. Write quality web content that will provide your readers with value. Is this going on our site, an article directory or a guest blog? What need is this article going to address? How important is this article to the reader? How are readers going to find the article? What do I want them to do after they read? The Internet is based on content, whether that content is video, image or writing. When anyone does a search, the first results will be what the search engines consider to be most relevant to the search term. This is where the answers to your questions come in handy. Knowing the keywords gives you a topical outline. For instance, if your main site keyword is “copywriting”, you know your main topic should also be about copywriting. Your target audience may change, depending on where you’re posting the content. For instance, information on golf courses may bring more traffic from a relevant guest blog than from an article directory. Answering this question is easy once you know where you’re posting. This is your target audience. Knowing this answer gives you a better focus for your article. Generally, people search for a term because a) they want to buy, b) they want to learn or c) they want to compare. So which need are you going to address? Is the information in the article up-to-date industry news? Is it a product recall? Is it ten tips they can’t do without? Use the importance level to set the tone of the title. Pretend you’re the visitor. How did you get there? Through a search engine? Another blog? An article directory? Some link you placed on XYZ site three years ago? Where they come from has some relevance to whether they stay. If you know what you want them to do afterwards, it’s much easier to tell them in the content without being too direct. Guide them; don’t force them. Use your keywords for the search engines. You have your SEO plan, you have your keywords; what do you do with them? You use them to tell the search engines what your SEO content is about. You put them on the title tag, much like a chapter heading in a book. You use them in the description, summarizing the page. You use them in your web content, because, darnit, that’s what the page is about. Use your keywords for your visitors. You have your SEO plan, you have your keywords; what do you do with them? You use them to tell your visitors what your web content is about. You put them in the title tag, much like a chapter heading… etc, etc. As mentioned before, if you have to force your keywords, you’re either writing about something that isn’t relevant or you’re using the wrong keywords. Let’s put it bluntly. If your keyword does not naturally show in your content, you’re doing something wrong. If you’re writing something that isn’t relevant, just something off the top of your head, that’s fine – but don’t bother with keywords. If you’re writing something that’s relevant, but the keywords won’t fit, you’re either a) using the wrong keyword or b) using the wrong keyword (yes, that was repeated twice on purpose). The key to writing quality web content, whether it has SEO components or not, is engaging readers. Use your primary, secondary and tertiary keywords throughout the article to enhance it – to re-enforce the information you’re sharing. Most importantly, remember that the reason you’re writing this content is to keep visitors coming back; not just get them there one time. Keep this in mind and don’t overload them with keyword repetition. Always start your content with your readers and potential customers/ clients in mind. Readers are the ultimate targets, not the search engines. Focusing your web content on them, rather than the engines, will help you achieve both goals: loyal, repeat traffic and high, relevant search engine ranking. What If I Can’t Think of Anything to Write? We can’t call it a skill of content writing, so let’s call it a learned tactic: beating writer’s block. Let’s face it; writing engaging, entertaining works of art to awe humanity is a crapshoot. Sometimes you hit the bull’s eye; most times, you aren’t even close to the target first time around. The readers are calling, though; your fans are waiting. What do you do? If you have a treasure trove of SEO content, you dig into it. If you don’t have one, it’s time to build one – and fast. Lesson #1: When you feel creative, use it! When the juices are flowing and you’re Mark Twain (or pick your favorite writing hero) incarnate, don’t pause. Don’t worry about the mundane things like SEO, keywords or word count; just write. Let the words flow from point to point – or even just wander around. This is your treasure trove. It doesn’t have to be perfect; it just has to be there. We’ve ended up with 3,000 word documents made up of brief paragraphs of coherent thought. The good news is that, when writer’s block strikes, you can scroll through these documents and take excerpts at will. It really is a treasure trove. Lesson #2: When in doubt, outline. What you have at the end of it is a brief outline of your next blog post or article, keyword already in use. With enough of these outlines, a day of writer’s block can still be prolific. Write a brief opening paragraph, a brief conclusion, and then expound on your bullet points. Lesson #3: When even outlines won’t come, write headlines. Sometimes, the world is just against you. Sometimes, even free flow writing and outlines won’t work. If this is the case, write headlines. You may not be able to use them now, but add them to your treasure trove. You get the picture. Right or wrong, the headlines you create could be the beginning of an excellent article. What you’ll often find in this case, however, is the title needs to be rewritten after the article is done. Just remember that, and reread the article once it’s done with the headline in mind. If it doesn’t fit, fix it. Lesson #4: Writer’s block can be broken with the right medium. Maybe you’re just so used to typing that you haven’t tried a pencil and paper lately. There are people who still use a typewriter for writing drafts (they’’ll be devastated when even novelty shops quit selling them). For me, it’s often a smooth pen that just rolls across the paper and a college-rule spiral notebook. When you’re stuck in one medium, try others. The real key for creating a content treasure trove is try, try and try again. The failures go into the trove for safekeeping until you’re once again free to create. Never throw anything away, because you never know what your next great content creation will be! Organic SEO content is optimized content that reads naturally. We don’t force terms to fit into the writing, preferring the terms to fall as they may. It’s hard, at first, because there’s this urge to force the terms to fit in wherever you can, but keyword stuffing never works well. Resist the urge to keyword stuff, remember that you’rewriting for your visitors rather than the search engines, and stay on topic – you’ll start creating more powerful, higher-ranking pieces that bring the traffic you need for the conversions you want.